You’re in the South now. Enjoy regional specialities like the Slaw Dog, Meat and Three, Fried Chicken and BBQ! Enjoy Grims snacks such as Sweet and Tangy BBQ chips, available at stores throughout the area. Wayne-O-Rama is open Wednesday through Sunday, 11 am to 6 pm. Wayne-O-Rama will be open until September 30 2017. Gallery of Wayne White, creator of much of the sets of Pee Wees Playhouse. There is also an art show nearby til Oct 1 at the Hunter Museum. A quick note: theres an adorable veggie friendly place called the yellow deli. Please avoid it as it is run by an end of times religious cult that believes in corporal punishment and worker exploitation. Dub’s Place -4408 Dayton Blvd, Chattanooga, TN 37415 (423) 875-3151 Classic burger and ice cream stand selling a “crumble burger” which is essentially a loose meat sandwich. Mike’s Hole In The Wall -538 Cherokee Blvd,Chattanooga, TN 37405 Dive bar with great burgers. (423) 265-9015. Burgers, including a chili cheese burger, light onion rings and fried chicken and seafood. Zarzour’s-1627 Rossville Ave., Chattanooga, TN – (423) 266-0424-meat and 3 place OR cheeseburger place ONLY OPEN 11 am to 2 pm M-F.
Rebel Drive-In Restaurant – 1010 Lee Hwy, Cleveland, TN 37311 Closed Sunday (423) 790-7796-home of the lottaburger. Great biscuits. Diner fare. Jumbo House -1410 Nashville Hwy, Columbia, TN 38401 (931) 388-2440-Vintage burger drive in restaurant with roadside style. Fried chicken gizzards. Chili on dogs unfortunately has beans and fries are crinkle cut. Closed Sunday Monday-106 South Commerce St, Johnson City, TN 37604 Burger joint with Graffiti art.Only open for lunch too. Pal’s-327 Revere St, Kingsport, TN 37660 (423) 239-3442-Pals is a chain of burger and chili dog joints but this is one of the originals, if not the original from 1956 Fand the decor is great. Sloopys-819 N Eastman Rd, Kingsport, TN 37664, (423) 378-5638-Retro style burger joint with 2 lb burgers available. The alternative weekly for Knoxville is the Metro Pulse. Local Specialty is the pig burger, ground pork rib meat served with bbq sauce. Available in many local places such as Dixsons BBQ. M & M Catering-7409 Middlebrook Pike-Knoxville, TN 37909 (865) 692-1003 -Said to be the best bbq in knoxville. Strange hours, its just a walk up window, bbq by the lb. and they do a fish fry weekly too. Littons– 2803 Essary Drive, Knoxville, TN 865-688-0429 Huuuuuge chili dogs, Pimento Cheese burgers and more! Drive in Pizza Palace-3132 Magnolia Avenue, Knoxville, TN 37914 (865) 524-4388-was featured on Triple D. Italian style yes, but also good greek salads and onion rings. Pilot Light-106 East Jackson Avenue Knoxville, TN 37915 (865) 524-8188-Lots of bands play here on their way to and from other places. Memphis, TN has its own page! Martins BBQ Joint-7238 Nolensville Road Nolensville, TN 37135 (615) 776-1856-whole hog bbq. Five bucks gets you 3 sliders where you can try all their sauces, including an Alabama style white sauce. Redneck tacos which are served in cornbread. The Local weekly Alternative Paper is the Nashville Scene. Check out Nashvilles Dead. The Monsters of Pop festival features tons of indie/alt bands. RCKTWN-401 Sixth Avenue South Nashville, Event Line 615-843-4000. The End-2219 Elliston Place-Nashville, TN (615) 321-4457-visiting indie bands play here. Also known as the Exit In. The 5 Spot -1006 Forrest Ave, Nashville, TN 37206 (615) 650-9333-Live bands plus a swing dance party on mondays. (615) 256-4455 Classic meat and three joint but they close early, only open through lunch. Dino’s Bar -411 Gallatin Ave, Nashville, TN 37206 (615) 226-3566 Dive bar with noteworthy burgers. Open til 3 am. Robert’s Western World, 416 Broadway, 615-244-9552-Square dancing and cheap food including a well known fried baloney sandwich. Great signage for photo ops. Monell’s, 1235 Sixth Avenue North, (615) 248-4747, meals are served family style at long tables. pork chops, baked chicken, meatloaf, turnip greens and corn pudding. Very cheap. Rotier’s, 2413 Elliston Place, (615) 327-9892, one of the best grilled burgers around, served on french bread, as well as stuff like baked ham with creamed potatoes, squash and fried okra. Virtually everything on the menu costs less than $10. Closed sunday. Hattie B’s-Another Hot Chicken contender–112 19th Avenue S , Nashville, TN 37203-Now multiple locations. Better sides than the classic Princes. (615) 327-1090 Vintage ice cream joint and greasy spoon. 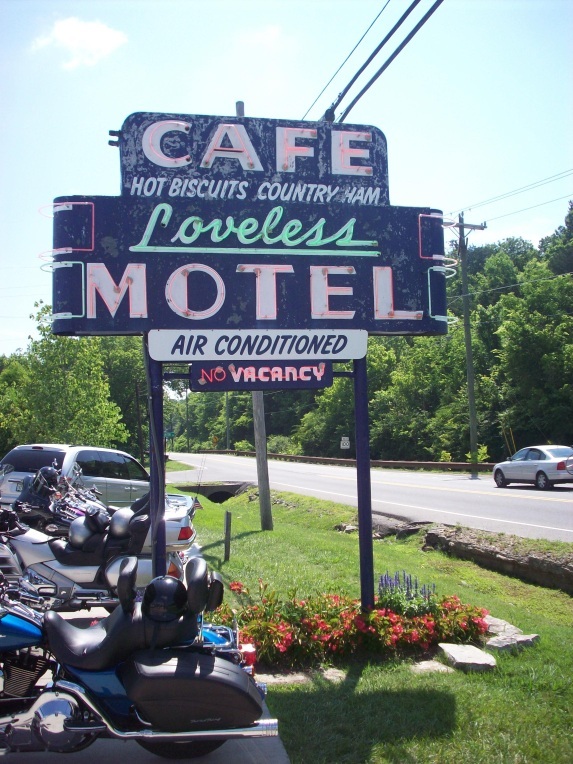 Loveless Cafe-Meat and three place out in the “country” with the best biscuits I ever had. Savarino’s Cucina-2121 Belcourt Avenue, Nashville, TN 37212 (615) 460-9878-sicilian italian joint that was featured on diners drive ins and dives. All fresh pastas. Hit or miss reviews on yelp, but the sandwiches have a good reputation. 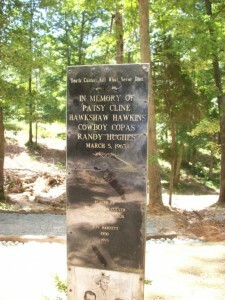 Patsy Cline Crash Site Memorial -Take I-40, Exit 126 (Hwy. 641) proceed north approx. 15 mi. through the lights at the Highway 70 bypass and Highway 70. Turn left on Mount Carmel Road just past Highway 70 and proceed approximately 2 1/2 mi. Memorial is on the right. (615) 446-4480 exactly what it sounds like, Catfish a buncha ways, shrimp, froglegs, Steak for Landlubbers and the coolest sign ever. 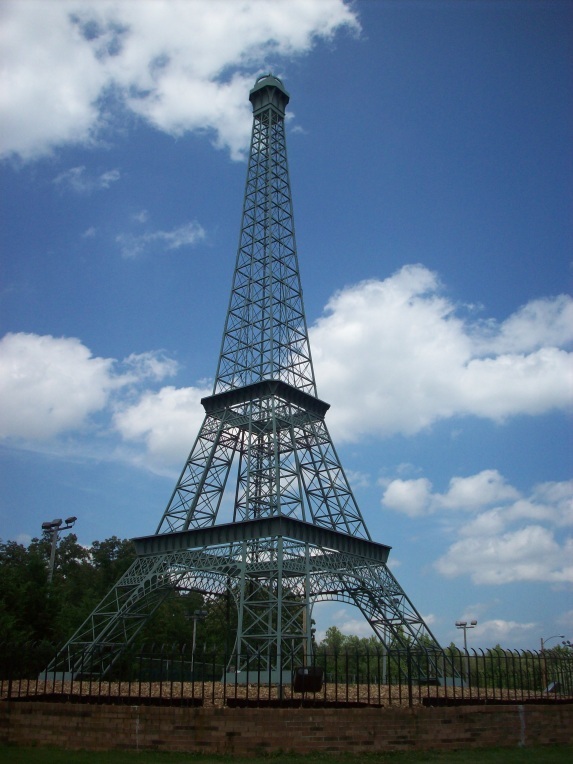 Theres also the Paris Winery, where you can buy fine Paris Wines which make great gifts. Dixie Freeze ?-200 Elm Ave, South Pittsburg, TN 37380 (423) 837-6423-Closed Sunday. “home of the dagwood sandwich”. Ice cream roadside joint. The dagwood sandwich is a double burger with a piece of toast between the 2 patties.